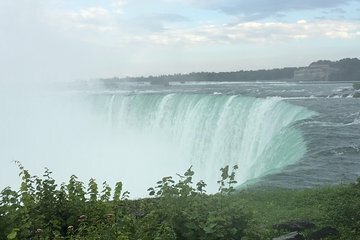 Traveling to Niagara Falls from New York City by air is the quickest and most efficient way to visit the iconic waterfalls in just one day. All transportation is included as you make your way to top Niagara attractions, like the Maid of the Mist (seasonal), Cave of the Winds, or Niagara Falls Observation Tower. A flexible itinerary lets you decide what you most want to see.